Wonder why we’re seeing more zombie-themed games appear on the Play Store and App Store? Why, it’s simple – Halloween is coming up in a few weeks, and Joyfort has become one of the latest to release such a game. 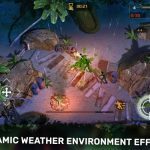 The game in question, Dead Zone: Zombie Crisis, is available for Android and iOS devices, and it’s another one of those titles that take place with a zombie apocalypse serving as the main storyline. 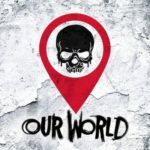 This is a base management game where most of the city has been turned by a Zombie City by a mutation virus, and where your goal is to retrieve the anti-virus and stop the zombies before they stop you. 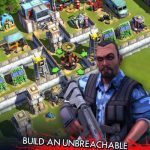 Your objectives also include building “massive empires” and saving humans and preventing them from getting zombified, and you’ll be achieving all of these as you compete against zombies, as well as players from all over the world. 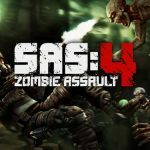 This is one of the more unique zombie-themed games out there, as it’s a multiplayer base management game where the main come-on is the fact that you’ll be competing against players from all over the world. So how can you build the best possible base, kill the most zombies, and save the most people? We shall cover that in here, in this list of Dead Zone: Zombie Crisis tips and tricks. You may have heard us give those tips for countless other base management or MMORTS games, but since this is a beginner’s guide to Dead Zone: Zombie Crisis, we’re going to mention it again – you should follow the quests and complete them. By completing the quests, you can get more than your fair share of resources. And you can also get a ton of commander experience, which essentially levels up your base. You can also get diamonds (the game’s premium currency), and you can get VIP points, which add to your total and allow you to buy some premium items that you’ll need at later points in the game. Sure, we know that troops are important in base management games. But they’re especially important in Dead Zone, as the old adage of “strength in numbers” is one of the mechanics this game is built upon. You want your army to outnumber the zombie hordes, and that means training a good number of troops and creating lots of troop production camps. You should also avoid situations when there are several z’s coming out of a building – that means there’s no work getting done in there, and you should get them back to work as soon as possible. You know how it works in these base management/MMORTS games, right? No man is an island, so go ahead and join an alliance. The benefits of joining an alliance are plentiful, and the first such reward would be the diamonds you’ll get upon joining up. And just like they do in other games, alliance members can expedite construction times, and you should join an alliance with as many active members as possible, so that you can shave more time off of construction. Just make sure you also do your part and help out your alliance if they ask you for assistance. Likewise, alliances can beef up your attack by dispatching their own troops to join your forces. Once again, it’s all about speed of construction and strength in numbers here, so join an alliance and reap all the benefits of being part of one. You would be able to dig through the dumps once your War Room has been leveled up to level 5; this is found close to the bottom right corner of the base. Those dumps contain a variety of resources which you can add to your stocks, which should give you the incentive to explore the dumps any time you’re running low on resources for one reason or another. Take note, however, that you wouldn’t able to go “dumpster diving” through the larger piles until you’ve leveled up your War Room to level 15. Otherwise, all you’ve got from levels 5 to 14 are the smaller dumps. There’s one thing you can do that the zombies can’t quite do, and that’s research. It’s important (very important, actually) that you do your research in the Laboratory, because this allows you to acquire some valuable passive bonuses. Research covers four different categories, and these categories tackle different facets of your base, including your buildings, your military, and your resources. There’s no set rule when it comes to prioritizing categories, but many players seem to get the best results by prioritizing base building. Your military bonuses are another good choice, as this gives you enough oomph to fight more zombies and human players. That’s all for now, as far as our tips and tricks for Dead Zone: Zombie Crisis are concerned. Do you know more hints for the game? Let us know in the comment section!